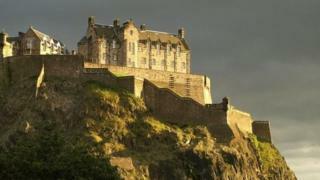 Scottish tourism is worth more than £11bn to the economy, according to a new assessment carried out by VisitScotland. The tourism body has calculated the value of direct and indirect spending, and concluded it represents 4.5% of the Scottish economy. The new analysis is intended to show how tourism compares with other key growth sectors. Those sectors include finance, energy and life sciences. A paper which is being prepared by the government's tourism development agency says current thinking fails to capture the full value of visitor spending. Including day visits to tourist attractions, the agency calculates direct spend amounts to £8.9bn. The additional spend comes from indirect spending, as money circulates through the supply chain of goods and services. The analysis concedes that the industry's productivity is the lowest of the six sectors targeted for growth by the Scottish government's economic strategy. But it compares well as a source of employment, and has a large number of small firms. In 2015, it is reckoned there were nearly 14,000 enterprises in tourism, representing one in 12 Scottish firms. The data points also to the spread of those jobs around the country. The council areas that rely most heavily on tourism jobs include Argyll and Bute, with 17% of jobs related to the sector. More than one in 10 jobs were also found to be in tourism in Highland, South Ayrshire and Orkney. Of the 217,000 tourism jobs across Scotland in 2015, nearly half were in five council areas; Edinburgh, Glasgow, Highland, Aberdeen and Fife. In an interview with BBC Radio Scotland, VisitScotland chief executive Malcolm Roughead responded to concerns that some areas are suffering from excessive pressure at the peak of the summer season. He said planning needed to take account of visitor numbers at an earlier stage, and that numbers needed to be managed and spread through the year, rather than capped or reduced. In Skye, for instance, he welcomed ideas from local people for shuttle buses to the most popular remote destinations, reducing traffic flow. He said the North Coast 500 road trip, which has been a major marketing success, is being followed with co-ordinated efforts to improve infrastructure and encourage investment. With Edinburgh very busy through the festival weeks, he said: "We have to make sure that experience is protected, and that the festivals are able to be promoted and developed. "We need to make sure the assets here are preserved for future generations of visitors. "You have to manage the infrastructure, and make sure the experience which people talk about - and they do so immediately through social media - is one which will bring people in. "It's about creating advocacy - harnessing the goodwill of those who come to Scotland to act as ambassadors." Having placed digital strategy at the heart of the sector's drive for growth, Mr Roughead said half the tourism businesses on the VisitScotland website do not transact online, and with 65% of tourism transactions globally done online, they are missing an opportunity. With a review under way into the quality control on online rentals through sites such as AirBnB, Mr Roughead said the disruption from such sites was a "great opportunity". He added: "It means you can't be complacent. You have to change your business practice, be more customer-focused and more competitive. That's where we're trying to get to anyway. "There was TripAdvisor and booking.com before AirBnB. They're here to stay, and we've got to take advantage." You can hear the full interview, which was broadcast on Saturday's Good Morning Scotland programme, on the BBC iPlayer.